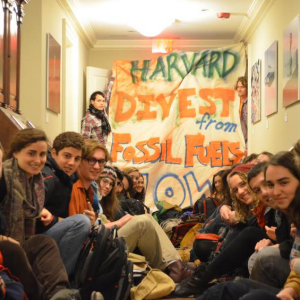 Over the last several years, divestment has become a more and more common goal for environmental protesters, who have tried to get cities, universities, and other groups to stop investing in fossil fuel production. What is more surprising is that nonprofits who loudly support these causes also invest in conventional energy, even as they encourage others to divest. According to leaked documents, environmental groups, including the World Wildlife Fund (WWF), the American Museum of Natural History, and several left-leaning funds had investments in private equity firms specializing in oil and gas even as their public messaging hyped concerns about the role of fossil fuel use in climate change. According to documents revealed in the Paradise Papers, a trove of 13 million documents detailing offshore investments, nonprofits including the American Museum of Natural History, the World Wildlife Fund, and the University of Washington invested in a fund known for its investments in oil, natural gas, and mining. The papers show that the WWF invested $2 million with Denham Capital, an international private equity firm specializing in oil and gas investments. The WWF entered into an agreement with the firm in 2008 and which is not slated to expire until 2020. Getting out of the deal early would be difficult, say financial observers. WWF was not the only environmental group to invest with Denham. The American Museum of Natural History in New York City committed $5 million to the fund even after putting on a series of exhibits highlighting the connection between fossil fuels and global warming. The Museum has told reporters that it is working to both reduce its investments in fossil fuels and to consider opportunities for renewable energy investments. WWF says that it offset the proceeds of its fossil fuel investments through other financial instruments and that in the future, it will not invest in fossil fuels. The University of Washington in Seattle also invested in the fund. The David and Lucile Packard Foundation and the William Penn Foundation, both groups which awarded grants to environmental projects, did not invest with Denham specifically, but still had fossil fuel investments. Because the investments were through a private equity firm, their existence was hidden prior to the release of the Paradise Papers. Tax forms filed by nonprofits do not require a detailed list of these types of investments. Without the leak, most of the investments would likely not have been uncovered. The papers are another example of the difficulty of severing all ties to fossil fuels when putting together an investment portfolio. Despite widespread pushes for divestment on the part of green groups, large institutions like cities and universities have found it next to impossible to cut all ties. Last week, more than a year after its city council voted unanimously to stop banking with Wells Fargo, Seattle renewed its contract with the bank. By signing the new three-year contract with Wells Fargo, the city effectively conceded defeat after struggling to find another institution that could handle its banking needs. Only a handful of banks were large enough to handle the city’s millions of dollars of accounts. Even after the city split up its financial services contracts to try to allow other financial institutions to bid, it found few takers. Only Wells Fargo bid on the contract, which some took as a sign that other banks of similar size thought that the city was not worth the hassle. Both the news of Wells Fargo’s renewed contract and the details of the Paradise Papers show that, despite the outcry, energy and fossil fuels remain a highly profitable industry and an important part of many investment portfolios. “These industries, like all of America, are dependent on abundant, reliable, affordable energy. The revelations make it clear they tie their own future to the growth of America’s energy industry. It’s a just a shame they won’t admit it publicly,” says Daniel Turner, executive director of Power the Future, a group telling the stories of the impact of energy jobs on the American economy, who sees the investments as a sign that the industry is strong.